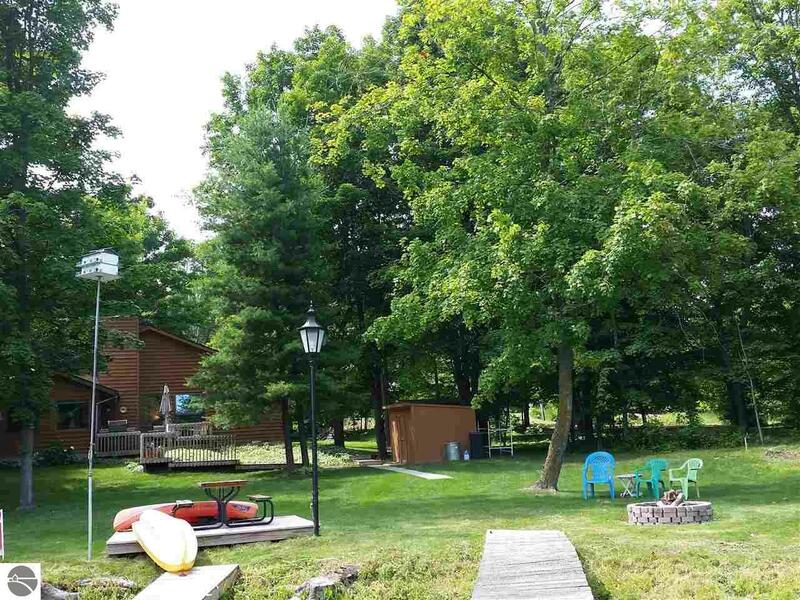 Perfect location with private waterfront on miles of the Upper Chain O' Lakes and just a short boat ride into Intermediate Lake. Enjoy the peacefulness from the deck overlooking the water or from the quaint front porch. Walk to the charming town of Central Lake with restaurants, shopping and all the fun activities of a small town. This 3 bedroom/2 bath one story home is in a small neighborhood of nice homes. Vaulted ceilings, skylights, ceiling fans and a gas fireplace. Beautifully landscaped with sprinkler system. Extra features include a whole house generator, new roof and newer appliances. Plus in town conveniences of natural gas and high speed internet. Lots of storage. Great year round home.